As you may know, I am on maternity leave from Little Black Duck for the time being. The other day it occurred to me that this will be the first Christmas since leaving university (which was quite a long time ago now) that I will not be working in the run up to the big day. It’s exciting to think that I may get the opportunity to decorate the tree and the house properly and spend some time actually planning for Christmas. It’s a time of year that I love but it normally passes me by in such a blur! Our house has a strange set up in that we have two living rooms (or a living room downstairs, which used to be a dining room, and a lounge upstairs as we call them). We normally have a real tree in the lounge and an artificial tree in the living room . 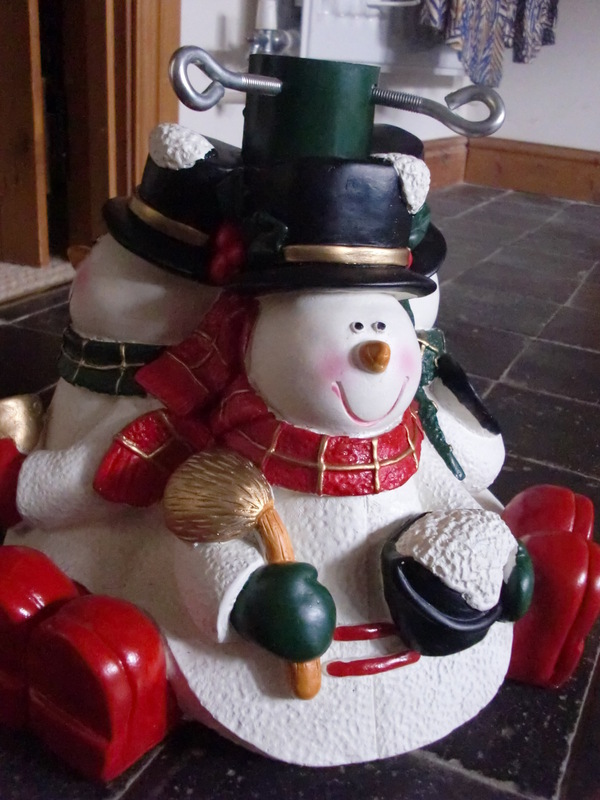 When I was at the range recently I found this fab Christmas tree stand. I was really pleased with my purchase until I found it £5 cheaper in Dunelm!!! Anyhow, I still love it and I am sure that the girls will too. 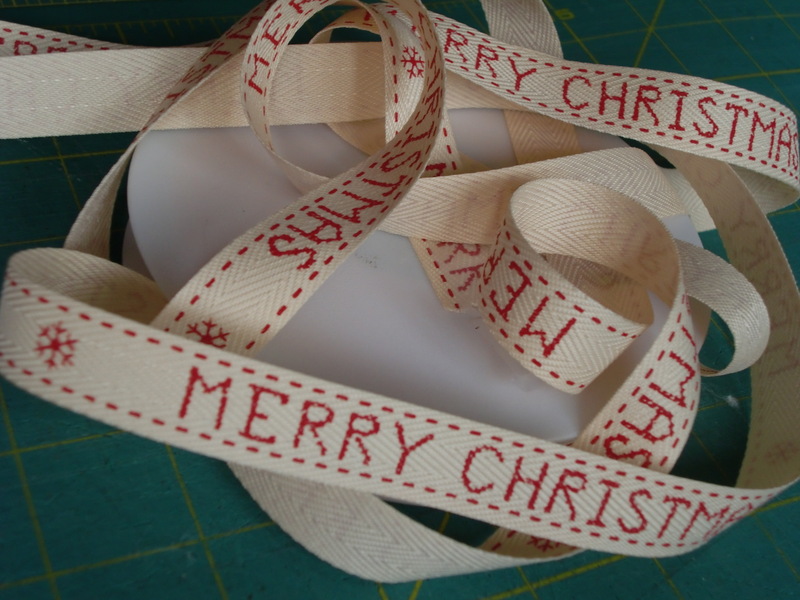 I was buying some gingham fabric to make some curtains for Charlotte’s (and I guess Emily’s now too) playhouse when I saw this printed ribbon in Watson and Thornton. It was 50p/metre, so I bought the whole roll. I love it and I am sure that it will adorn many a present this year. It had only arrived in the store that morning….they also had it in green. It took all of my will power (of which I normally have very little) to leave it on the shelf. Other than that there has been no Christmas shopping yet…a little browsing here and there and a vague list, but that is it. Sadly for me that means I am terribly behind. Mum and Dad, my brother and my niece live in Australia and the last postal date is fast approaching. I’d better get a wriggle on! p.s. I have never sewn with gingham and it is brilliant for making little curtains. All those little squares makes seaming and sewing (in a straight line) such a doddle! Getting the Christmas Tree decorated with children is unfounded joy – even if it does take 2 or 3 times as long as it would without them!